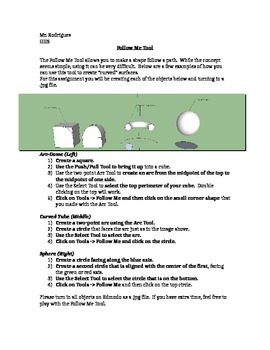 This assignment is a quick look at SketchUp's Follow Me Tool. It is a very powerful tool but can have unexpected results from time to time. It is good to experiment with it, however this handout gives you a short introduction into the use of the tool.